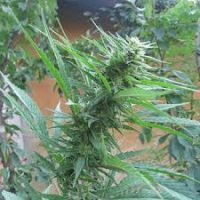 KC Brains Cristal Limit female Seeds produce a ‘Indica / Sativa’ cannabis plant with Photoperiod genetics and a flowering time of 9 weeks. 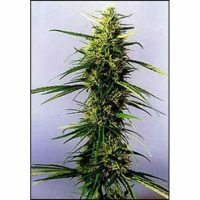 Buy KC Brains Cristal Limit female Seeds at the lowest price online now! It’s a stable cross of two very popular cannabis strains Californian Big Bud Skunk and Brazil. She took over the best qualities her famous parents could ever offer. Cristal Paradise is a powerful marijuana variety. It took over Big Bud’s incredible growing strength and her record breaking yield. Brazilian genes reinforced it with an ability to resist pests and mould. K.C. 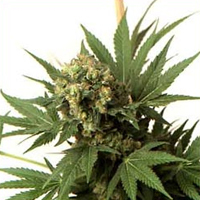 Brains cannabis seeds of Cristal Paradise produce tall leafy indica. Give it 8-11 weeks and it will thank you with great buds that bend the trunks by their own weight. Yield of 400gr m2 per plant indoor and 600-800gr per plant outdoor is average. Cannabis farmers confirm that Cristal Paradise seeds are extremely resistant to mushrooms and plague as she’s got genes to adopt her to nearly any condition as long as it’s warm. If grown outdoors, she can stretch as high as 2.5 m, whilst indoor variety will remain their manageable size of about 140 cm. maximum. 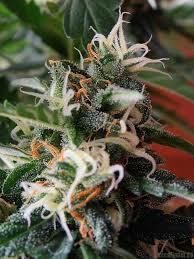 Plants will start spreading orange sweet and slightly hashish smell once the first flowers come to life. A taste of Brazil! Stems of Cristal Paradise plants are thick and sturdy, yet the masses of giant, sweet, sparkling buds they produce can grow heavy enough to bend and even snap them, so the most promising branches should be supported with string or tensioned wire. 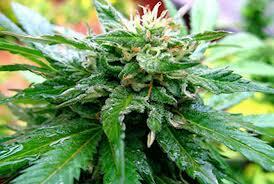 Sticky buds are covered with trichomones full of THC. Usually it varies between 15 and 18%, however, the more you nature your indica the heavier yield you can get.